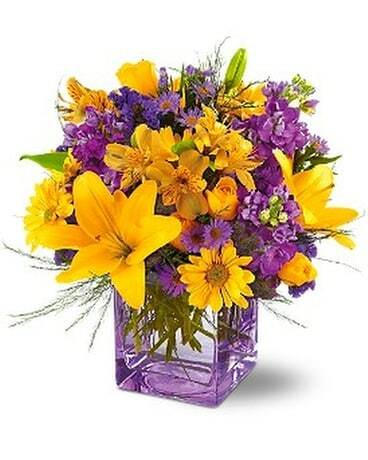 Yellow and lavender flowers, like the sun peeking through morning clouds, are dramatically showcased in this contemporary lavender cube vase. 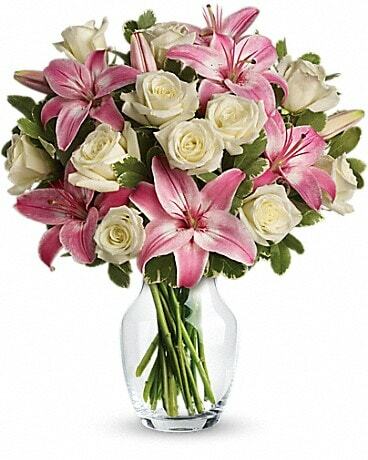 Send it to someone special. 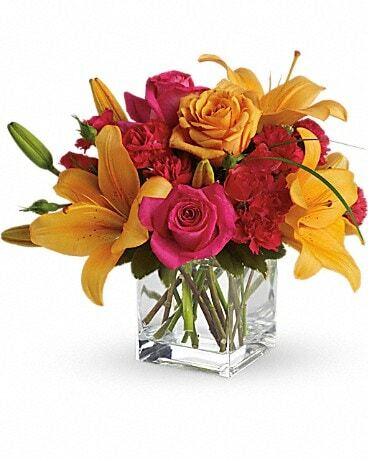 Lilies, Alstoemeria and Chrysanthemums arrived in a glass cube. Approximately 11" W x 11" H.